Antique sewing machine - Britannia No.1 treadle. The Britannia Sewing Machine Co. marketed this machine as the "No.1" in the early 1870s. 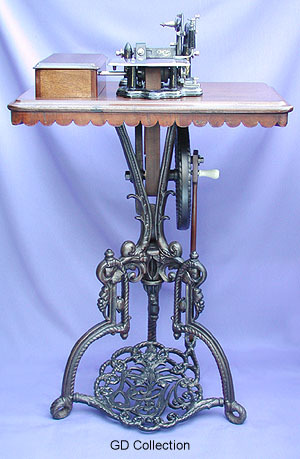 The combination features a Wheeler & Wilson style head, mounted on a delightfully ornate tripod treadle of the company's own registered design. Today this model can be considered very rare.